The Rock and Roll Hall of Fame and Museum Director of Education, Dr. Jason Hanley, guest-edited a special issue on the topic of Popular Music Pedagogy in the Journal of Popular Music Studies, Volume 21, Issue 1, March 2009. His article, co-written with Susan Oehler, titled "Perspectives of Popular Music Pedagogy in Practice: An Introduction" appears on pages 2–19. Click below to read that article here. These are subscription databases available only within the Library + Archives. An archival research resource containing the essential primary sources for studying the history of the film and entertainment industries, from the era of vaudeville and silent movies through to 2000. The core US and UK trade magazines covering film, music, broadcasting and theater are all included, together with film fan magazines and music press titles. Magazines have been scanned cover-to-cover in high-resolution color, with granular indexing of all articles, covers, ads and reviews. Music Online is the broadest and most comprehensive online music resource that cross-searches all of the Alexander Street Press music databases. These include African American Music Reference, American Song, Contemporary World Music, the Garland Encyclopedia of World Music Online, Jazz Music Library, Smithsonian Global Sound, and more. This database is the world's most comprehensive collection of dissertations and theses from around the world, spanning from 1861 to the present day. These resources are academically friendly and available anywhere you have an internet connection. AllMusic is a comprehensive and in-depth resource for finding out more about the albums, bands, musicians and songs you love. The Performing Arts Reading Room is the access point for the vast and diverse collections in the custody of the Music Division at the Library of Congress. Numbering approximately 20.5 million items and spanning more than 1000 years of Western music history and practice, these holdings include the classified music and book collections, music and literary manuscripts, iconography, microforms, periodicals, musical instruments, published and unpublished copyright deposits, and close to 500 special collections in music, theater, and dance. WorldCat is a union catalog which itemizes the collections of 72,000 libraries in 170 countries and territories which participate in the Online Computer Library Center (OCLC) global cooperative. It is built and maintained collectively by the participating libraries. Put in your zipcode to find materials at libraries within your geographic area. Questions? Email or call 216.515.1510 to find out more! The Summer Teacher Institute brings K-12 and post-secondary teachers together with arts education specialists, historians, community educators, curriculum designers, performers and music therapists to learn how to use popular music effectively to teach across the disciplines. Work alongside the Rock Hall’s award-winning education department and explore how you can integrate rock and roll into your own classroom curriculum. Walk through classroom-tested activities that can deepen your students’ engagement with popular music while meeting and exceeding state and national content standards – whether your focus is language arts, social studies, music, technology or other content areas. Regardless of your specialty, rock and roll can help you electrify your classroom and make learning come alive for your students. A valuable new resource on the trends and issues related to the use of popular music in the classroom, this collection of essays by well-known scholars and educators addresses many important topics. This book is based on the outcomes of research from interviews which took place between October 1998 and May 1999 with 14 popular musicians living in and around London, aged from 15 to 50. Informal learning practices and formal educational experiences over the last 40 years of the 20th century were studied. The conditions necessary for informal music learning are discussed, especially in terms of the musical enculturation of children. Music Library and Research Skills is a complete guide for music majors for researching and completing a paper. It encompasses all the latest technologies and resources, providing not only annotated listings of key items but also informative "how to" side bars and "real life" stories to guide the student. This text has been the standard guide to source literature of music and contains critically annotated listings of over 3,500 key sources. This comprehensive guide to reference sources is organized into chapters by category of source. The text's organization introduces students to a vast array of sources to include: Dictionaries and Encyclopedias; Histories and Chronologies; Sources of Systematic and Historical Musicology; Bibliographies of Music, Music Literature, and Music Business; Reference Works on Individual Composers and Their Music; Catalogs of Libraries and Musical Instrument Collections; Discographies; Yearbooks; Directories; Electronic Resources. Teachers the world over are discovering the importance and benefits of incorporating popular culture into the music classroom. The cultural prevalence and the students' familiarity with recorded music, videos, games, and other increasingly accessible multimedia materials help enliven course content and foster interactive learning and participation. Pop-Culture Pedagogy in the Music Classroom: Teaching Tools from American Idol to YouTube provides ideas and techniques for teaching music classes using elements of popular culture that resonate with students' everyday lives. From popular songs and genres to covers, mixes, and mashups; from video games such as Dance Dance Revolution and Guitar Hero to television shows like American Idol, this exciting collection offers pedagogical models for incorporating pop culture and its associated technologies into a wide variety of music courses. 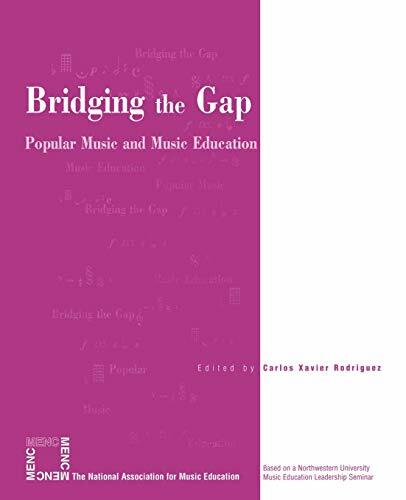 This book focuses on the near total attrition of African American students from school music programs and the travesty of democratic education that it symbolizes. It outlines an “anatomy” of dropping out and a tour through the music curriculum’s lesser-known dimensions. Using the essentially rhetorical (some might say theological) question: "What was the first rock 'n' roll record?" 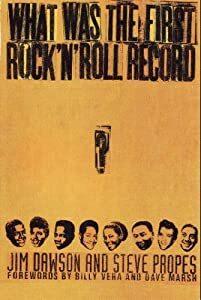 as its starting point, this unique book nominates 50 records for the honor, beginning with an early live recording, "Blues, Part 2" (1944) and ending with Elvis Presley's "Heartbreak Hotel" (1956). Forewords by Billy Vera and Dave Marsh. The Library and Archives also subscribes to the print edition of this magazine. Blurt is a music print magazine and on-line outlet based in Carrboro, NC. The Magazine originally was known for over 10 years as "Harp Magazine" and considered one of the best music magazines of the decade in the early 2000's. MAGNET covers independent music through artist profiles, critical reviews, in-depth features and bold photography. Option Magazine covers the spectrum of adventurous music, musical hybrids, related art and cultural issues from around the globe: pop, rock, R&B, electronics, hip-hop, folk, jazz, classical, the avant-garde, as well as all their roots and offshoots - including those not named and those yet to be named. Pitchfork is a Chicago-based daily Internet publication established in 1995 that is devoted to music criticism and commentary, music news, and artist interviews. Its focus is on underground and independent music, especially indie rock. Slicing Up Eyeballs publishes news items daily about new album releases, reissues, box sets, tours, reunions and other activity by ’80s college rock bands, their spinoffs and their individual members, as well as video clips both new and archival, and streaming and downloadable audio. There are many music streaming services available, some that require a fee. Listed below are some of the streaming services that are available for free with a registration. Many of these services are also connected to Facebook. If you have a Facebook account, you can sign in that way. Grooveshark is the world's largest on-demand music streaming and discovery service. Over 30 million users flock to Grooveshark to listen to their favorite music, create playlists, discover new tunes, and share it all with friends via Facebook, Twitter, social news sites, and more. With Pandora you can explore their vast trove of music to your heart's content. Just drop the name of one of your favorite songs, artists or genres into Pandora and let the Music Genome Project go. It will quickly scan its entire world of analyzed music, almost a century of popular recordings - new and old, well known and completely obscure - to find songs with interesting musical similarities to your choice. Sometimes only a certain song will do. Rdio has a huge library of music, from popular artists to hot newcomers, and every single track is playable on demand as many times as you want. Spotify is a new way to manage your music, discover new tracks and share songs and playlists with your friends. Now you can enjoy music whenever and wherever you like.